The UK based organization Let Toys Be Toys has started a petition on Change.org to ask publishers to stop gender-labeling books. 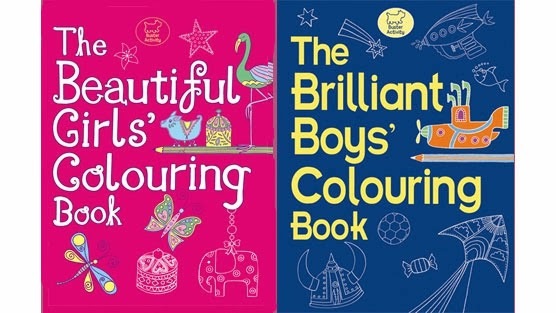 The image above shows how such labeling can send a powerful message to kids about what's important: beauty for girls and intelligence for boys in this case. Granted, this image is an extreme example, probably selected for its provocative nature. But any gender labeling, even less provocative examples, limits children's choices and perpetuates gender stereotypes. Please take a few minutes and sign this petition. Here's a great article about gender labeling on the Let Toys Be Toys website. As a child, I always preferred books with robots, aliens, and adventure over cupcakes, flowers, and handbags. Books should expand children's horizons, not limit them.